Nastassja Kinski photographed with a snake by Richard Avedon. 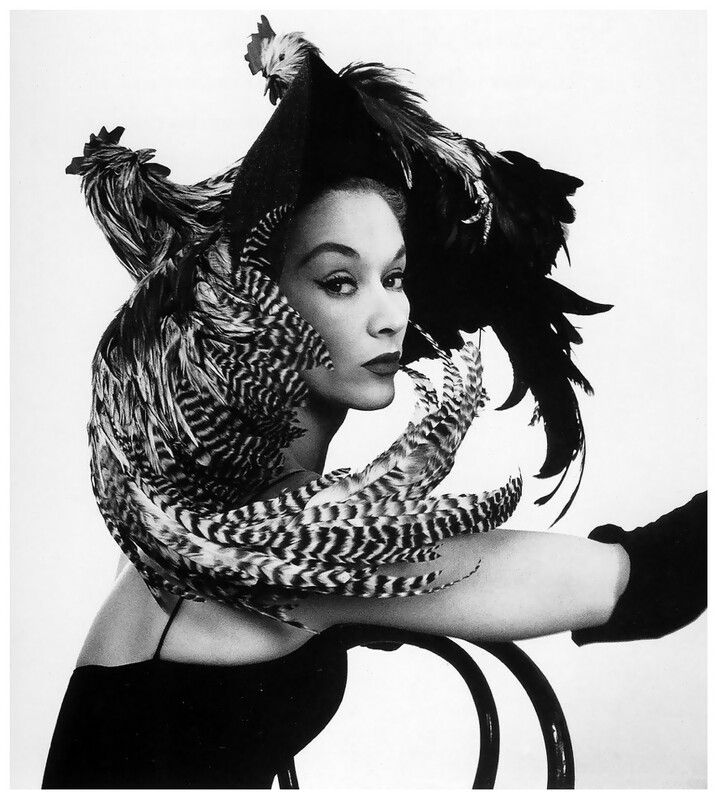 Woman in a chicken hat photographed by Irving Penn. Contemporaries who made commercial photography an art form. It was hard to decide where to begin this blog. Commercial art has such a rich history. As an art director I've always loved photography. So two greats of the craft came immediately to mind. Richard Avedon (1923-2004) and Irving Penn (1917-2009) each transformed photography. They defined what fashion, portraiture, advertising and editorial image-making could be and would become. I researched their respective stories and discovered they had similar backgrounds and explored similar themes in their work . They were friends but didn't always view each others work the same. I suppose this was to be expected. I thought it would be interesting to juxtaposition the a few of the photos by these two greats. Irving Pen photo for Issey Miyake in Vogue 1983. Avedon 1961 photograph of actress and dancer Cyd Charisse. Irving Penn photograph from his Hell's Angels portrait series, Look Magazine 1968. Bill Curry, drifter, photographed by Avedon along Interstate 40, Oklahoma, 1980. Richard Avedon grew up in New York City. His mother, Anna Avedon, came from a family of dress manufacturers, and his father, Jacob Israel Avedon, owned a clothing store called Avedon's Fifth Avenue. Inspired by his parents' clothing businesses, as a boy Avedon took a great interest in fashion, especially enjoying photographing the clothes in his father's store. At the age of 12, he joined the YMHA (Young Men's Hebrew Association) Camera Club. Richard Avedon portrait of Barbara Streisand, circa 1960s. Audrey Hepburn photographed by Irving Penn. Irving Penn initially intended to become a painter. But a job with Vogue magazine in the 1940s turned his focus to photography. His portraits of models and celebrities were often shot against bare backdrops with natural lighting. Cheese seller photographed in Paris as part of the Small Trades series by Irving Penn 1950s. 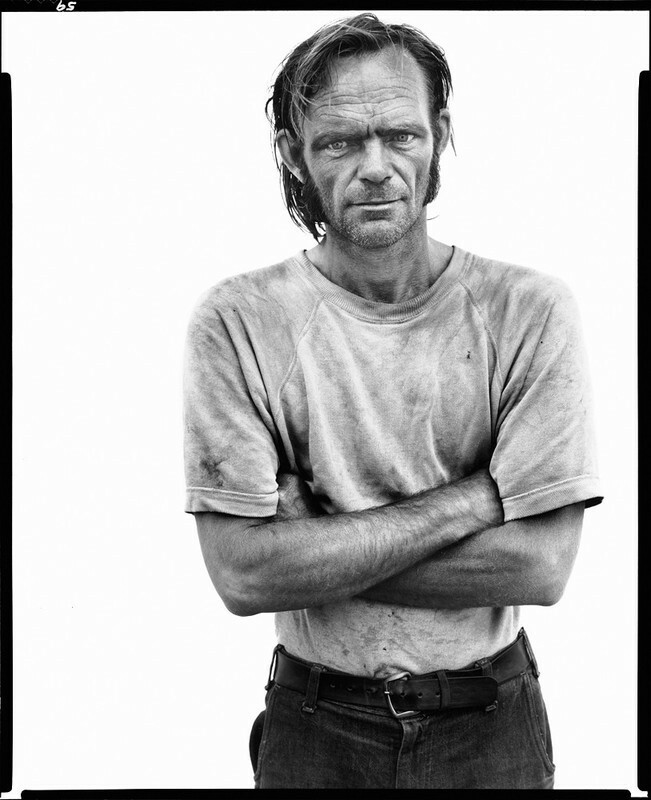 Billy Mudd, a trucker photographed by Richard Avedon, American West Series, 1981. Visit the Artsy Richard Avedon page to see loads more of his amazing work. Newer PostGraphite & Lead business card wins design award. Older PostRough sketch for new blog on creativity.